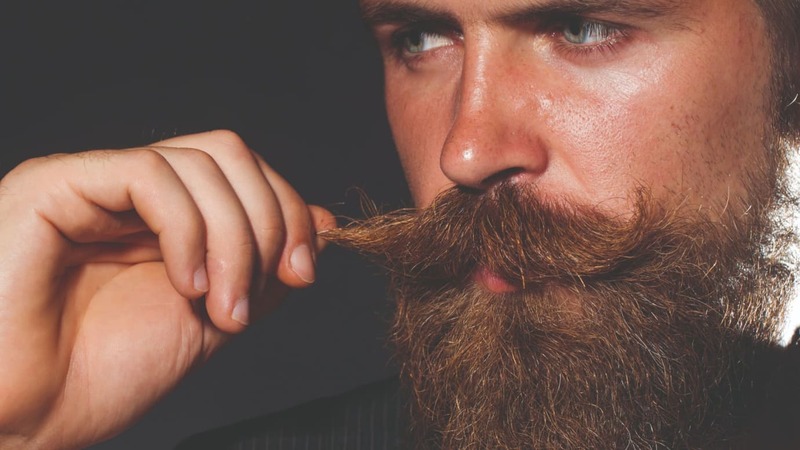 Is your facial hair causing a barrier to effective asbestos protection? Did you know that the current beard trend could be putting your life at risk if you are exposed to asbestos? Beards – even a five o’clock shadow – can prevent above the neck protection, including Respiratory Protective Equipment (RPE), from fitting properly, causing you to inhale deadly asbestos fibres. Recent research indicates that up to 50% of all RPE used does not offer the wearer the level of protection assumed. Concerned about the growing number of asbestos related deaths in the UK, particularly amongst tradespeople, the UK Asbestos Training Association (UKATA) is actively campaigning to increase the numbers of people who are asbestos aware and have undergone industryrecognised training. Established in 2008, UKATA sets standards in asbestos training and ensures that its members meet those standards. Craig Evans, UKATA Chief Operating Officer explained: “The current trend for beards is causing great concern amongst UKATA’s members and the Health and Safety Executive (HSE). They can prevent face mask equipment from fitting properly, which provides essential protection against inhaling deadly asbestos fibres. Asbestos remains the UK’s biggest workplace killer according to figures released on 31 October 2018 by the HSE. Nearly 100 people die each week from asbestos-related diseases, with a fifth of these deaths being tradespeople. Asbestos kills 20 tradespeople in the UK every week, including four plumbers, six electricians and eight joiners; highlighting the need for them to have access to correct safety equipment and also undertake suitable asbestos awareness training. Worryingly, asbestos related deaths in the UK are on the rise. So, what do you need to know about protecting yourself from this potentially fatal material? Today asbestos is responsible for more than 5,000 asbestos-related deaths per year in the UK, making it the single biggest cause of workrelated deaths. More than 1.3 million people in the UK come into occupational contact with asbestos on a daily basis. The Asbestos (Prohibitions) (Amendment) Regulations 1999, signed by the then Deputy Prime Minister John Prescott, came into force on November 24, 1999 five years ahead of the European deadline. Until then, Chrysotile had been the only type of asbestos permitted in the UK since amosite and crocidolite were banned in 1985. The complete ban heralded the end of what was described as the UK’s asbestos century. Asbestos became popular at the end of the 1800s due to the industrial revolution and a boom in industry. It was cheap, widely available, strong, insulating, fire resistant, heat resistant and sound absorbing. With such widespread use over 100 years, there are now millions of commercial and residential properties still remaining today that contain the deadly substance. The fact remains that no-one knows how much of the seven million tonnes of asbestos imported into the UK during the 20th century remains in place today. When work is undertaken on any property constructed before 2000, there is real risk of releasing asbestos fibres which, when inhaled, could lead to terminal lung cancers and life inhibiting asbestosis. It is important to note that undisturbed asbestos that is well maintained presents no immediate risk to health. Often, removal works present the most risk. It is for this reason that many choose to leave ACMs (asbestos-containing materials) in their buildings undisturbed. Asbestos is thought to have been contained in over 4,000 products. It was regularly mixed with other materials such as cement, so is not always easy to identify – particularly to an untrained eye. Because asbestos was used in so many construction materials and products, every time tradespeople are required to disturb the fabric of a building built pre-2000, they are putting themselves at risk of inhaling asbestos fibres. As the figures attest, asbestos-related diseases affect thousands of people each year and it’s not only the people who come into direct contact with the material through their work – it’s also their friends, families, colleagues and occupiers of the buildings. Mesothelioma is a type of cancer that affects the ‘mesothelium’ – a thin lining in the chest and abdomen. Even low levels of exposure to asbestos can cause it if repeated over time, and unfortunately the disease is incurable. Around half of people diagnosed with mesothelioma will be alive after a year, and only one in 10 after five years. Asbestos-related lung cancer – It develops in the tubes that carry air in and out of the lungs. It can grow within the lung and it can spread outside the lung through the rest of the body. Asbestosis – A serious type of scarring in the lung caused by high levels of exposure to asbestos fibres. The scarring causes the lungs to shrink, resulting in breathlessness. Pleural thickening – A problem linked to heavy asbestos exposure. Scarring of the lining of the lung (pleura) covers a large area and the lining thickens and swells. When this happens the lung is squeezed, causing breathlessness and discomfort. Being well informed is only half of the battle – being well equipped is equally important to ensure you and others do not contract fatal asbestos related diseases. According to the HSE, above the neck protection, including Respiratory Protective Equipment (RPE), should be used when other controls are impractical, when other controls are being put in place or when there is short term or infrequent exposure. The concentration of asbestos fibres in the air should always have been reduced to a minimum before using RPE. It is a last line of defence. As such, it must be used correctly. However, nearly half of all RPE used does not offer the wearer adequate protection, largely due to it not fitting correctly. In addition to facial hair and lack of testing, incorrect storage/ maintenance, and improper use are all reasons for ill-fitting RPE. HSE Inspectors routinely see workers putting themselves at risk by using respiratory protective masks with varying degrees of stubble/facial hair growth. Let’s be honest, facial hair or no facial hair, RPE can be uncomfortable. To obtain a correct and effective seal, it needs to fit tightly to the face. The discomfort which can be caused by correctly fitting equipment means people often do not ensure it fits tightly. If a proper seal cannot be formed, then harmful contaminants can enter the mask rendering it ineffective. The HSE undertook a study to ensure the justification of the cleanshaven guidance. The amount by which protection was reduced by facial hair was vastly unpredictable and entirely specific to the wearer, with some having significant reduction in protection from just 24 hours after shaving. If tight-fitting RPE is not suitable, other RPE should be selected. There should never be an instance when ill-fitting face masks are used. If your RPE competent person is appropriately trained they will be able to explain the most suitable options to you. If tight-fitting RPE is not appropriate, there are alternative types of RPE that can be used. These include hoods, helmets and visors – loose-fitting face pieces that often use compressed air supply or battery power. It is an employer’s responsibility to provide suitable RPE for employees that come into contact with asbestos fibres. The RPE provided must be marked with a ‘CE’ symbol, signifying its compliance with the required standards in law. HSE-approved equipment that was made before 1 July 1995 may be used provided that it is suitable, properly maintained and performing correctly. When choosing RPE, three main factors should be considered – the task at hand, the environment and the individual. For example, if the task requires minimal disruption to the ACM, this will require a different level of protection to the removal of an ACM. The environment in which the work is being undertaken is also important to consider. Some spaces will simply not allow for protection larger than RPE – AIBs were often used around electrical boards and boilers, for example, which are often tucked away in hard to reach places. The individual should also always be taken into account when issuing RPE. We’re all different and have different needs and preferences. One big, practical difference is the size and shape of our faces; no two are the same! RPE fit testing is crucial and why you should not be sharing equipment. Invest in your own correctly fitted RPE equipment - your life depends on it. Without a fit test, it cannot be established whether or not RPE is suitable for the wearer. It’s also important to make sure that an expert determines the fit rather than your own guess work. In response to industry concerns around poorly fitting RPE, the British Safety Industry Federation, along with the HSE and other industry stakeholders have developed a competency scheme for Fit Test Providers. The Fit2Fit RPE Fit Test Providers Accreditation Scheme is designed to confirm the competency of any person performing face piece fit testing. A number of training providers also offer the RPE Competent Person training course. The course is targeted at employers, supervisors, health and safety representatives and elected company representatives who are responsible for the selection, use, maintenance and record-keeping for employees’ RPE. Completing the half-day course equips people with the skills to perform monthly checks on respiratory protective equipment (RPE) and record outcomes appropriately following HSE guidance HSG53 – Respiratory Protective Equipment at Work. It also covers RPE cleaning, maintenance, storage and disposal. Personal protective equipment is not enough on its own. Asbestos awareness is essential not only for the welfare of the person undertaking the work but that of the building users and the people that the tradesperson comes into contact with, too. UKATA regularly hears tragic stories of partners of people who worked with asbestos contracting an asbestos-related illness. Mavis Nye, a prominent Mesothelioma campaigner, was 66 when she was diagnosed with the disease. While she didn’t work with asbestos, her husband did, as a dockyard worker. The asbestos fibres clung to his overalls which she would shake out each evening before bundling into the washing machine. People in the UK who worked in the shipbuilding industry prior to the 1980s and who served aboard a ship containing asbestos are at high risk for asbestos exposure and mesothelioma. Other occupations at a high risk for asbestos exposure include HVAC engineers, plasterers, roofing contractors, demolition crews, painters, pipe fitters, maintenance workers and teachers. Recently it was revealed that a 44-year-old doctor, Dr Mags Portman, was diagnosed with mesothelioma in 2017. She is believed to have contracted the disease whilst working as a junior doctor 20 years ago at a hospital in Lanarkshire, Scotland. When it was demolished in 2009, hundreds of tonnes of asbestos were found. Having relevant, up-to-date and recognised training, alongside asbestos awareness can save not only their lives but those of their friends, family, and customers. Despite being banned in the UK, asbestos is not totally banned in the United States and there are fears that a post-Brexit trade deal between the UK and the US could result in asbestos-containing products being imported into Britain. Determined to ensure asbestosawareness is widespread, UKATA and its members offer free training as part of its annual award-winning Train Safe Campaign. Launched in 2015, the Campaign is part of UKATA’s drive to ensure more people are asbestos aware, particularly in the public sector due to the number of ageing schools and hospitals that contain asbestos. Since launching, UKATA members have donated more than 8,000 hours of free training. This year, UKATA has partnered with Jobcentre Plus, part of the Department of Work and Pensions, to offer free asbestos awareness training to people who are currently out of work. UKATA member companies have pledged over 3,000 free training hours so far this year to people who are unemployed, Not in Education, Employment or Training (NEETS) or are career changers in their journey to securing a job. The certified training is available now until March 2019 at UKATA-approved providers throughout the UK. Aware that people have different learning styles, UKATA and its members are committed to making training accessible to everyone. The UKATA Excellence Awards recognised members that are going above and beyond to raise standards in the industry and reinvent the way training is delivered. Examples of innovative training techniques are abundant – it is no longer the case that the only way to absorb this life-saving information is in a classroom environment. UKATA recognise that if you’re running a business, taking time away from it to complete training can be difficult. However, there is an online distance course specifically for refreshing asbestos awareness. UKATA members have also revolutionised the way asbestos awareness training can be quickly and remotely renewed annually, through an E-Learning Refresher course. By removing the requirement to be away from the place of work, this means that the renewal and refreshing of training is more accessible. Craig commented: “Making the training accessible to all relevant parties is only half of what we work to do. We also need to make it digestible for everybody, and we all learn in different ways. To enable people to access low cost or free industry-recognised asbestos awareness training, UKATA has a list of asbestos training providers that meet the recognised UKATA standard of excellence. Craig Evans is the General Manager of the UK Asbestos Training Association.